Anyone who knows me will tell you that I’m a bit of a ‘foodie’, so when I found out that our brand new 1950s style Diner in Minehead was finished and ready to open this February half term, I jumped at the chance to have a sneak preview and try out the new menu! It’s a tough job, but someone’s got to do it, haven’t they!? I left snowy London behind this week and headed down to the South West, to be greeted by clear blue skies at our Minehead resort. So what makes the perfect Diner? Well let’s start with the venue itself. We’ve created a fantastic family restaurant with authentic memorabilia from Butlins’ past as well as bringing the spirit of British 1950s and 1960s culture to life. We’ve tried to bring in Minehead’s history, too. Once you arrive and see it for yourself, along with the sounds and smells you’ll be transported away to the golden age of Diners! Now for the important stuff – the food and drink. 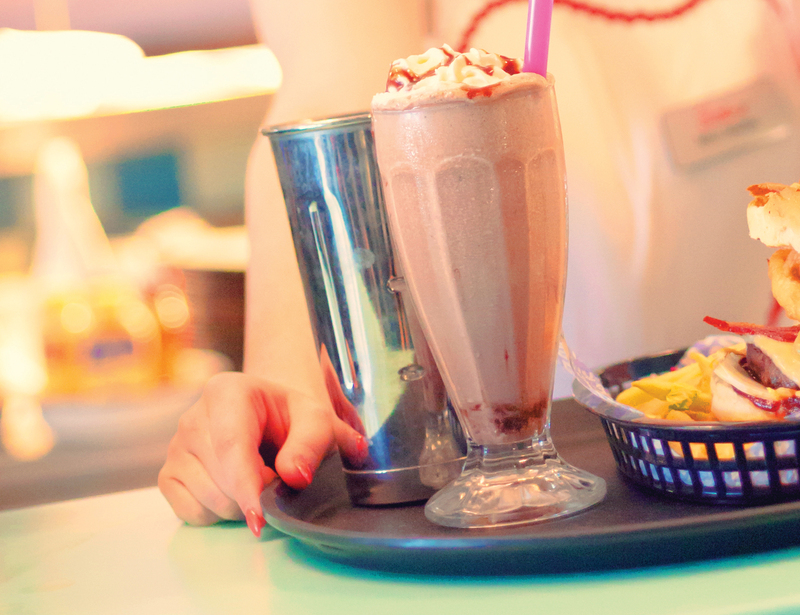 When it comes to drinks in a Diner, there’s really only one option – it’s got to be a milkshake! As milkshakes go, these are definitely up there with the best of them. Made thick and creamy, with 4 scoops of real dairy ice cream and topped with whipped cream, and with a choice of chocolate, strawberry and vanilla, these will set you up for the authentic Diner experience. Milkshakes sorted, let’s move on to the starters. We shared popcorn chicken bites, buffalo chicken wings and messy nachos. This is perfect family food that you can put in the middle of the table and all tuck into. And yes, you might get messy and sticky fingers, but that’s all in the fun of it! The main event: main course. Now, when I go out I always have that age old problem of what to choose. I’m the world’s least fussy eater, so it’s always really hard to choose what to have as I generally love everything! And the Diner is no exception. There’s burgers, wraps, steak, ribs, hot dogs, salads and more sides than you can shake a stick at! I opted for the classic beef burger (always a good test) – and it was juicy and tasted amazing. 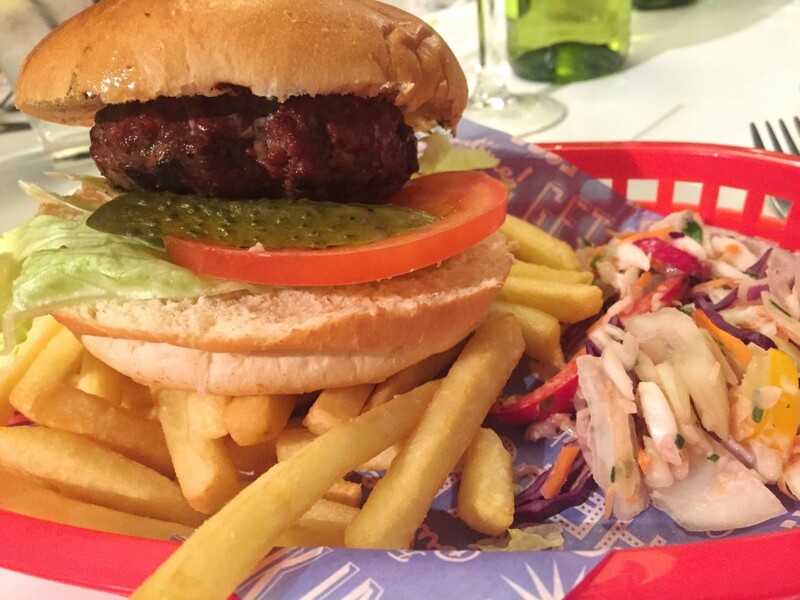 It comes with the usual accompaniments of lettuce, tomatoes, gherkins, homemade slaw and fries. Now by this point, you’re probably thinking ‘James, you must be so full? !’ Well yes. 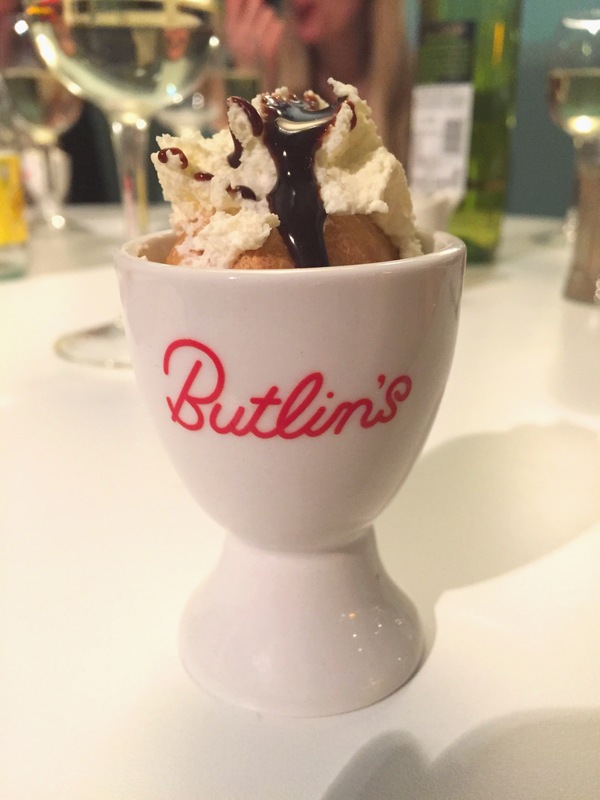 I’ll admit it, I may have had eyes bigger than my belly, so instead of opting for one of the (very, very tempting) desserts on offer – I went for the smallest dessert, the ‘egg cup profiterole’, which is exactly what you’d expect – a single profiterole served in your very own egg cup! If you did have some extra room for a something sweet there’s delicious treats like sundaes, banana splits, cherry pie and chocolate fudge cake. I think I’ll have to make another trip very soon! Food done – it was time for a bit of entertainment. A Diner wouldn’t be complete without a bit of classic 1950s and 1960s singing! 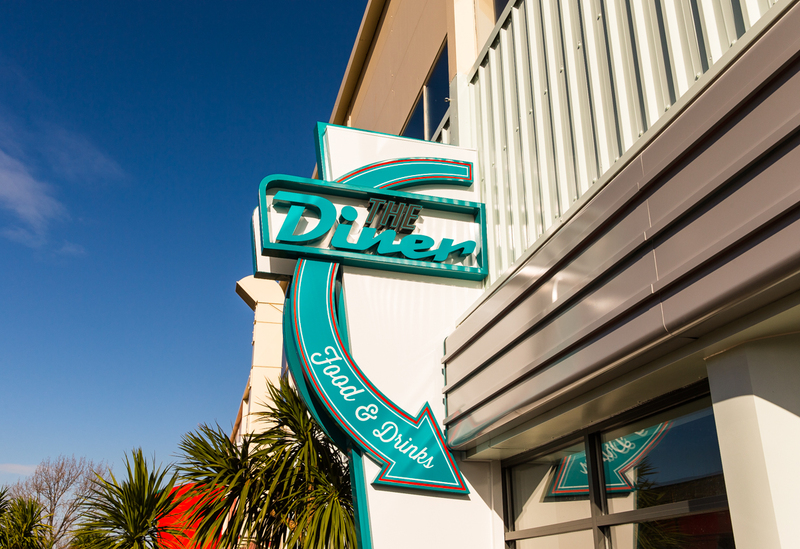 Every 20 minutes you’ll be treated to live performances of favourites from the Diner team! 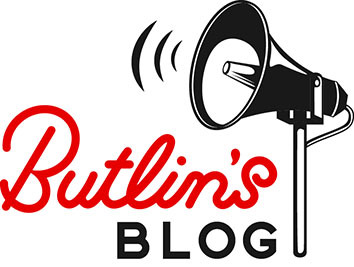 If that’s not been enough to tempt you into giving our new Diner a try, head on over to Butlins.com where you can find out a bit more info and see a sample menu.